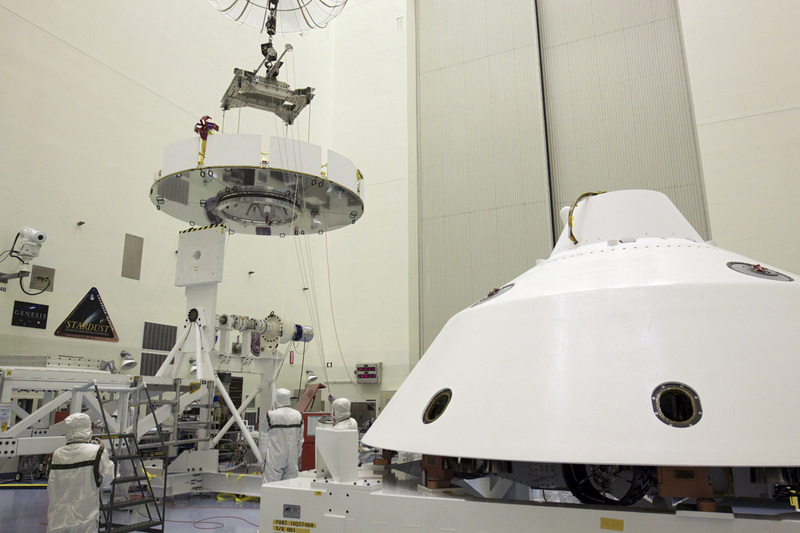 During the Launch, Cruise and EDL Portion of the MSL Mission, the Curiosity Rover and its Descent Stage are encapsulated in the Aeroshell consisting of a backshell and the heat shield that will protect the vehicle during Entry in the Martian Atmosphere. The Aeroshell was built by Lockheed Martin and is the largest Aeroshell built to date. It is 4.5 meters in diameter. It is a blunt-nosed cone that can be divided into different sections. The Aeroshell consists of three Parts: The 36.9-centimeter Parachute Support Structure, the 1.391-meter backshell and the 0.8975-meter heat shield – one of the most critical components of the spacecraft as it has to withstand the environment of Entry. MSL’s Mission Profile leads to high temperatures and large decelerations during Entry. 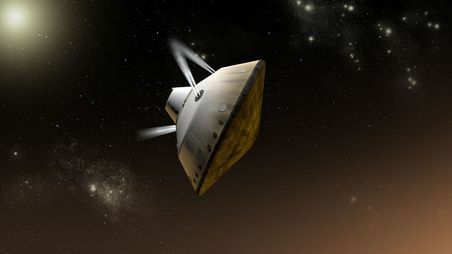 Originally, the SLA-561V Heat Shield Material was planned to be utilized for the flight, but a series of problems during arc jet tests and a thorough review of the system revealed that it was not suited for the mission as it would have failed upon re-entry causing the Rover to be destroyed. 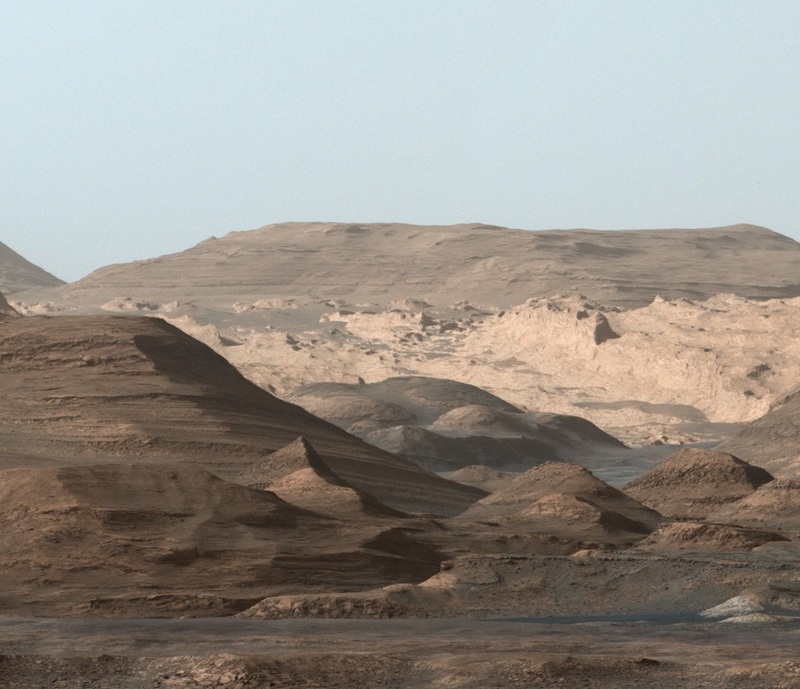 The new material for MSL’s heat shield was chosen. The Aeroshell is equipped with a Phenolic Impregnated Carbon Ablator or PICA Heat Shield. PICA was developed at NASA’s Ames Research Center in the 1990s and can withstand very high temperatures and loads during entry. PICA was also flown on NASA’s Stardust Sample Return Capsule (SRC) and entered the earth’s atmosphere in January 2006 at the fastest entry speed to date. 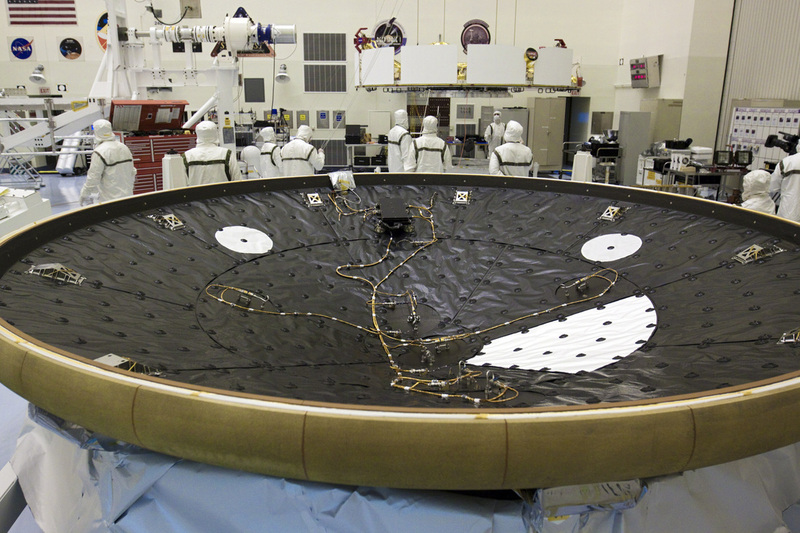 Due to the large size of the Curiosity Rover, a single-piece heat shield could not be used for MSL. 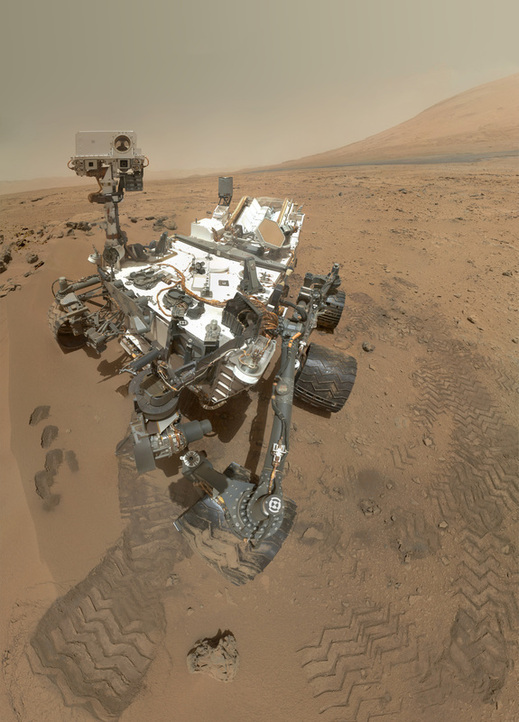 For MSL, Vehicle utilizes a tiled PICA Heat Shield which is NASA’s first tiled ablative Thermal Protection System. PICA is a very low density, high performance ablative material that is able to withstand the temperatures of up to 1,930 degrees Celsius that will be encountered by the vehicle during entry. 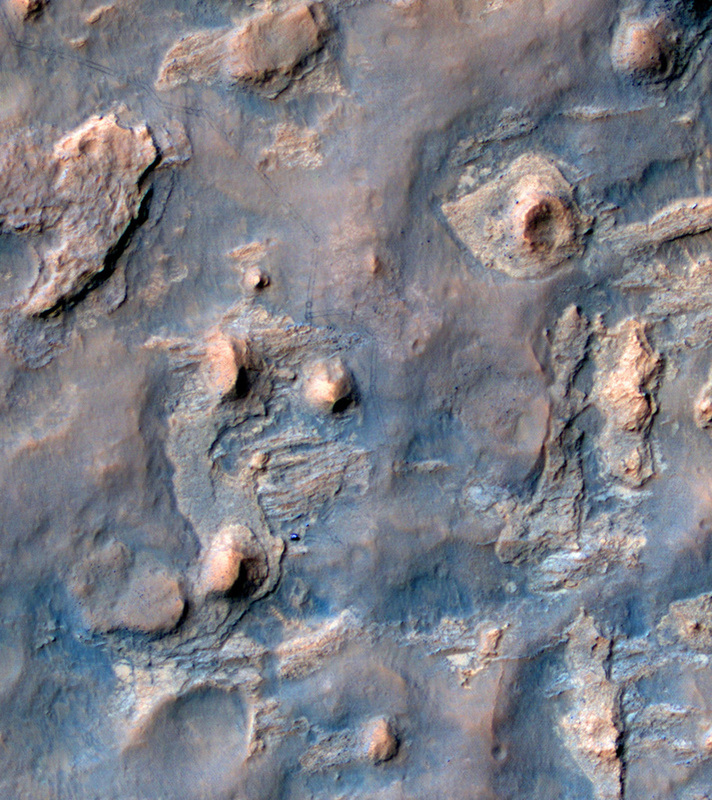 A total of 113 PICA Tiles of 27 unique shapes are part of MSL’s Heat Shield. The tiles are 3.2 centimeters thick and adhesive materials were used as gap fillers in between tiles. At peak heating, the heat shield has to withstand a thermal load of 197W/cm². The backshell provides structural support for the parachute and sky crane system. It is made of an aluminum honeycomb structure sandwiched between graphite-epoxy face sheets and houses the Parachute Support Compartment. The backshell uses the SLA-561V Heat Shield Material to protect the inside of the shell from turbulent plasma and heated gases of re-entry. Also installed on the backshell are Center of Gravity Off-Set Weights. Two sets of weights are installed on the vehicle. The first external mass is jettisoned about 5 minutes prior to Entry to off-set the vehicle’s Center of Gravity. This is done so that MSL can generate lift by controlling its angle of attack during Re-Entry. 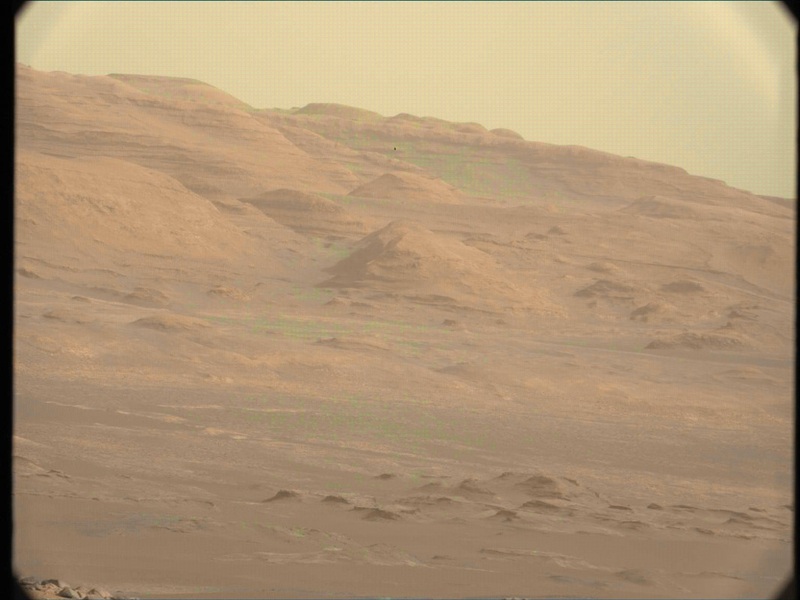 The vehicle performs a guided lifting entry at a lift-to-drag ratio in excess of that ever experienced at Mars. After Entry is complete, the other set of six internal weights is jettisoned to eliminate the Center of Gravity Offset in preparation for parachute opening. 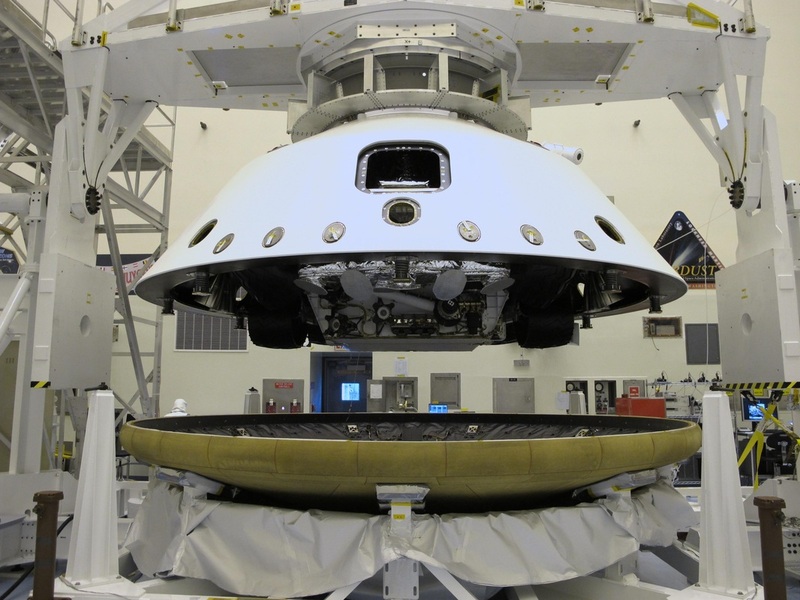 During re-entry, vehicle attitude is controlled by the Backshell Attitude Control System and its Thrusters. Eight Hydrazine Thrusters are mounted on the backshell that assume Attitude Control at the point of Cruise Stage Separation. When the parachutes open, the backshell of the vehicle has to transfer the loads that are generated by the chute. The heat shield separates from the backshell when the parachute is open so that MSL’s Landing Radar is exposed in order to acquire navigational data. Once reaching a certain speed and altitude, the Descent Stage and Rover are separated from the backshell to begin powered descent. All separation events are initiated by pyrotechnics.